Hi fellow beauties out there. 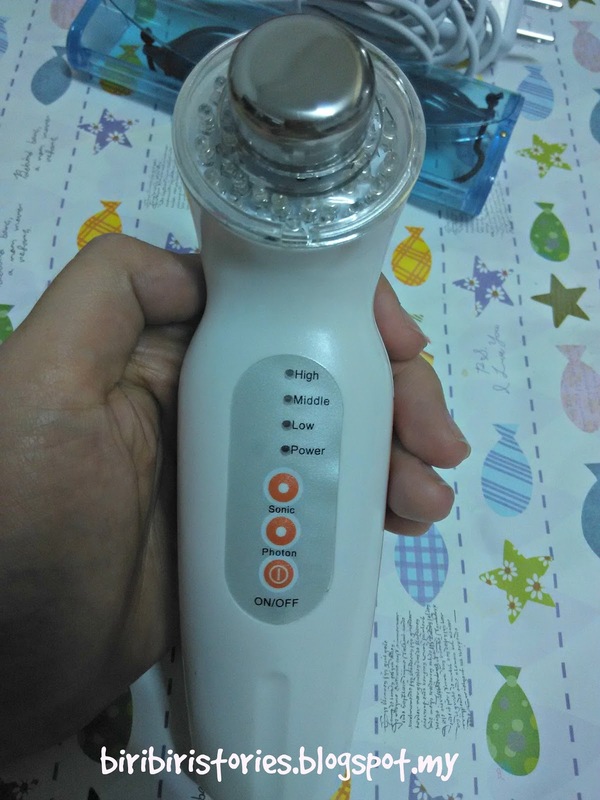 After my few posts of my holidays, I'm going to write a review of a new beauty device which I had just purchased. I'm sure a lot of you have seen, read reviews and even may even tried it on yourself. What I'm talking about here is this Photon Ultrasonic Facial Massager with LED Light features. 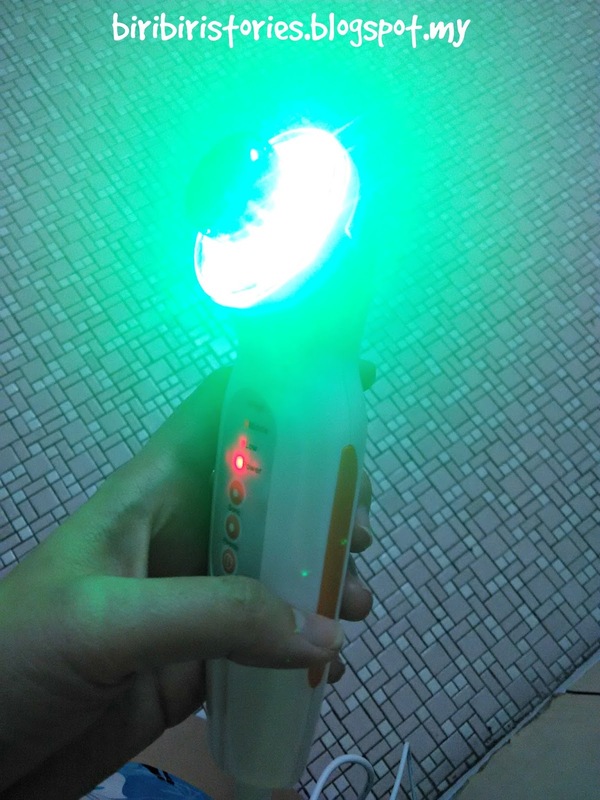 I bought mine from Lazada.com. One thing about this purchase was - it came without a box. I was like O.O How come a device delivered without a box, only to be wrapped with bubble bag? Bad service. Thank god that my device came in good condition! Alright. What's in the BOX: It comes with a hand-held ultrasonic facial massager, one eye goggle in case, instruction manual and a electricity adapter. 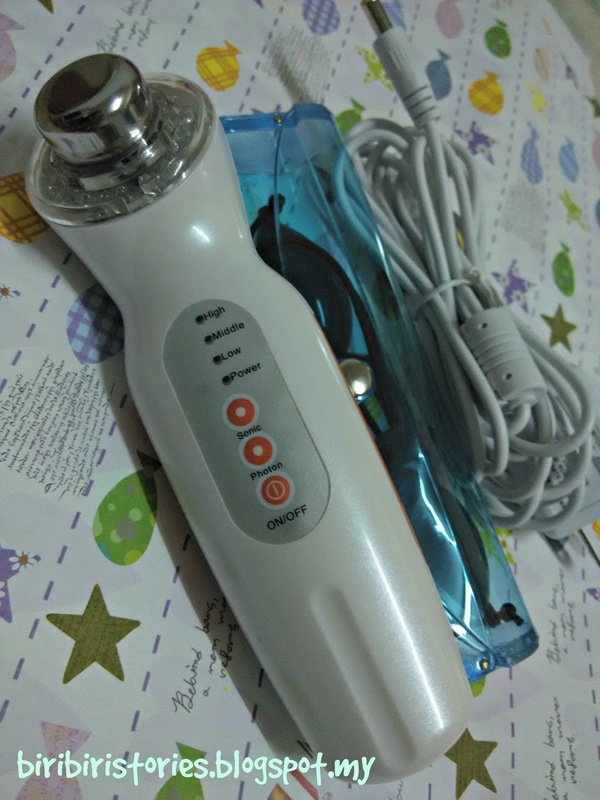 The device I bought is not rechargable, but there are those massager which are rechargeable. It doesn't really matter to me though. 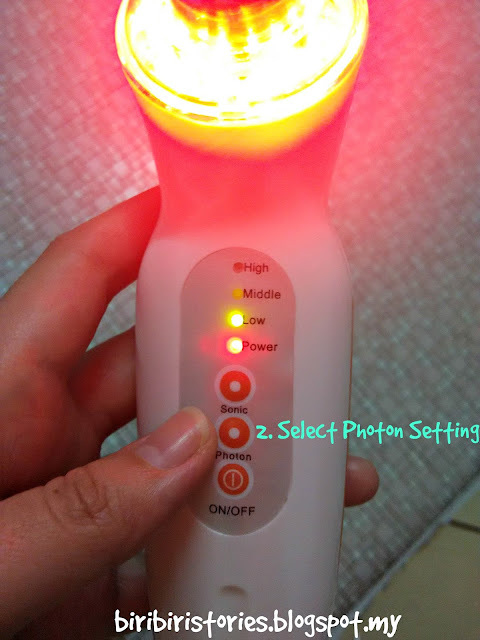 RED Light - Stimulates collagen production, reduce puffiness and pore size. 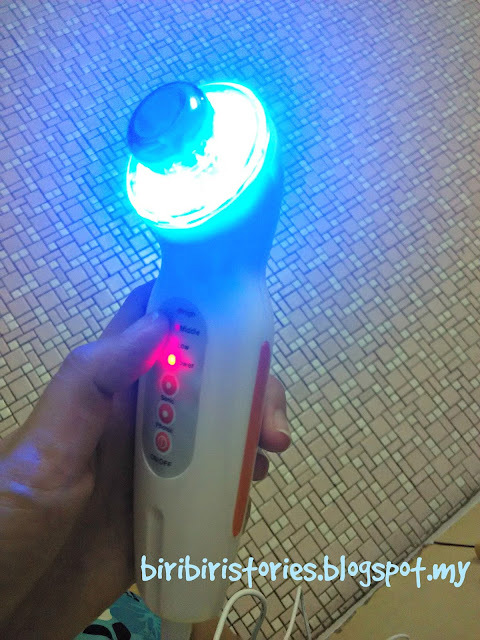 BLUE Light - Kills bacteria that causes acne and tighten the skin. Clean your face from make up, dirt or oil. Prep you skin with your favourite water-based gel/ serum. Facial oil can be used as well. I personally have used both version before using this device, but I find the 'pricking' sensation was more intense with facial oil compared to using gel. 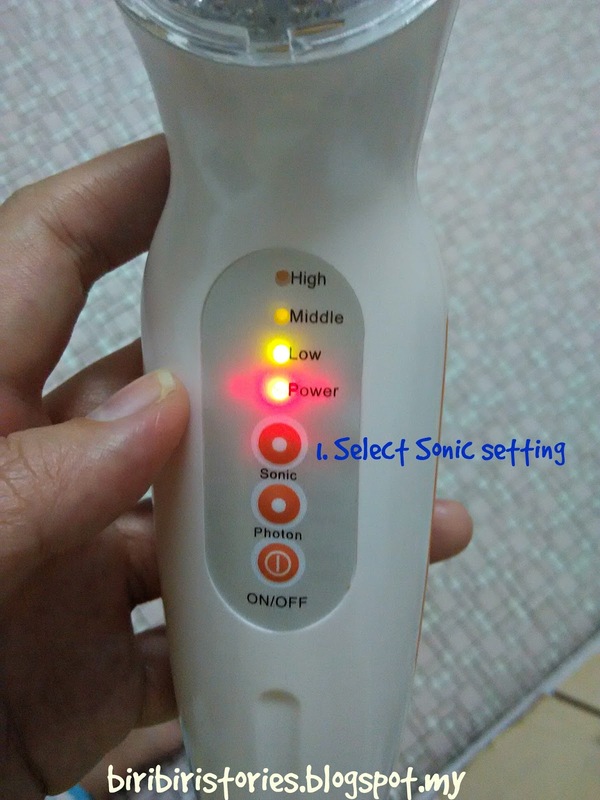 You can use both at the same time by selecting both setting, but if you want to use either one therapy, simple follow step 2 or 3. 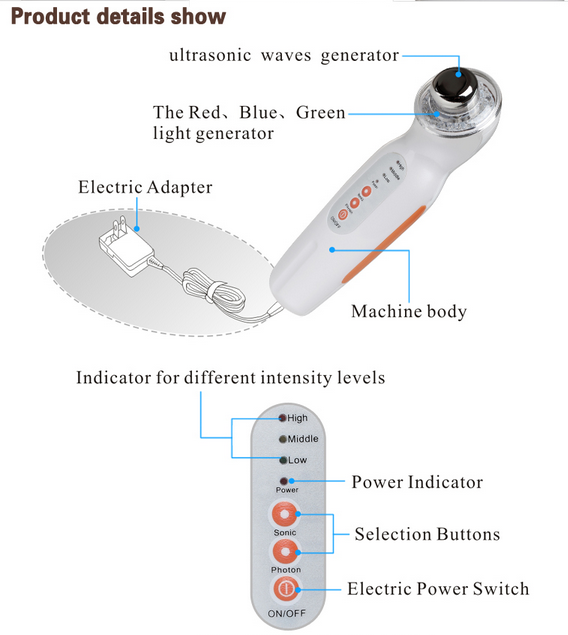 The device is set to work for 10 minutes, so use it 5 minutes on each side of the face. I like to use 2.5 minutes with Red light and followed by 2.5 minutes of Blue light. This is entirely up to you. 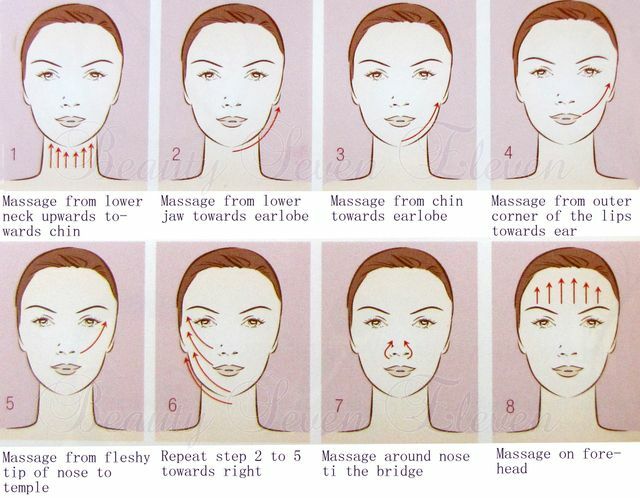 Below is the massage steps for lifting of your skin. This device has been a great help to busy mummy like me to have some spa like treatment at home and gives effective results to my skin. My husband noticed my skin is more radiant the next day after my 1st treatment. Amazing. 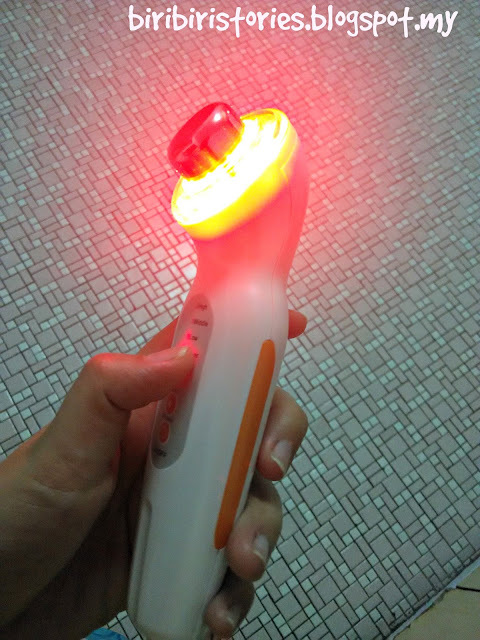 It's a affordable beauty gadget investment and hope this review helps!